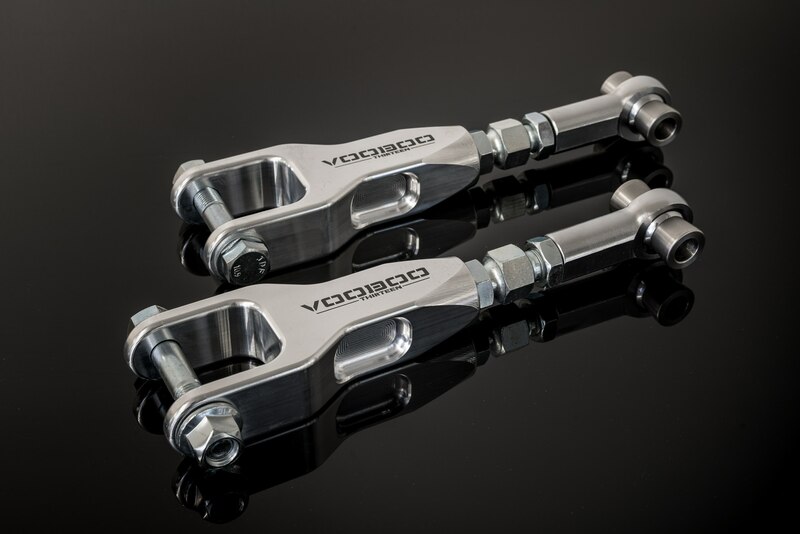 Our S550 adjustable rear toe arms provide a great solution when your Mustang has been lowered and the factory eccentric adjusters are maxed out. The range on our arms offer +/- 5° relative to the stock toe arm. Adjustment has been placed on the subframe side to reduce unsprung weight as much as possible. The Chromoly turnbuckle adjusters and female rod end make adjusting on the vehicle easily accessible. QA1 XM series rod ends eliminate play from the stock rubber bushings thus improving handling and predictability.